With Dacia Duster the peaceful village of Saint Rhémy en Bosses becomes the scene of exciting adventures in the snow, including performances by Ice-drifting and exciting snowshoe walks in nature.Even a quiet village tucked away in the upper Great St. Bernard Valley, It can offer amazing experiences in the snow, everything is possible when we rely on a partner capable of anything like Dacia Duster. 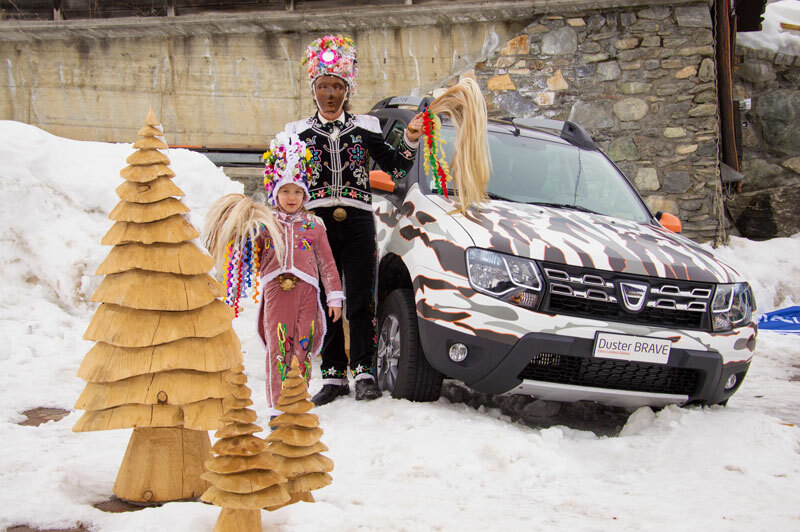 The adventure, indeed, It is in the DNA of Dacia Duster and they know the members of the Club Dacia On The Road this weekend will enjoy an exciting and varied program at Saint Rhémy en Bosses. Not only destination for skiers, valdostano the village at the foot of San Bernardo is known primarily for emerging winter sports such l’ice drifting and snowshoes, as well as the Carnival with its typical masks, “the lanzette”, that evoke the Napoleonic uniforms who flocked to the border areas in 1800. Where there is adventure New Dacia Duster is always at the forefront, and with its new look that exploits all the off road, the SUV's Dacia brand faces each challenge without sacrificing ease of use and driving comfort, Duster winning features since its first entry on the market which are further improved with the new launched at the end of series 2013. 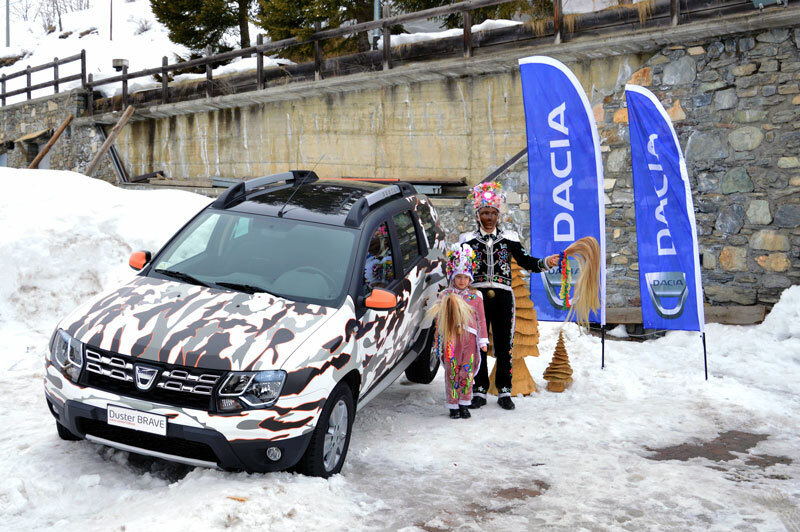 To celebrate the arrival of the New Duster market, Dacia organized the first event 2014 for its official Club “Dacia on the Road”. 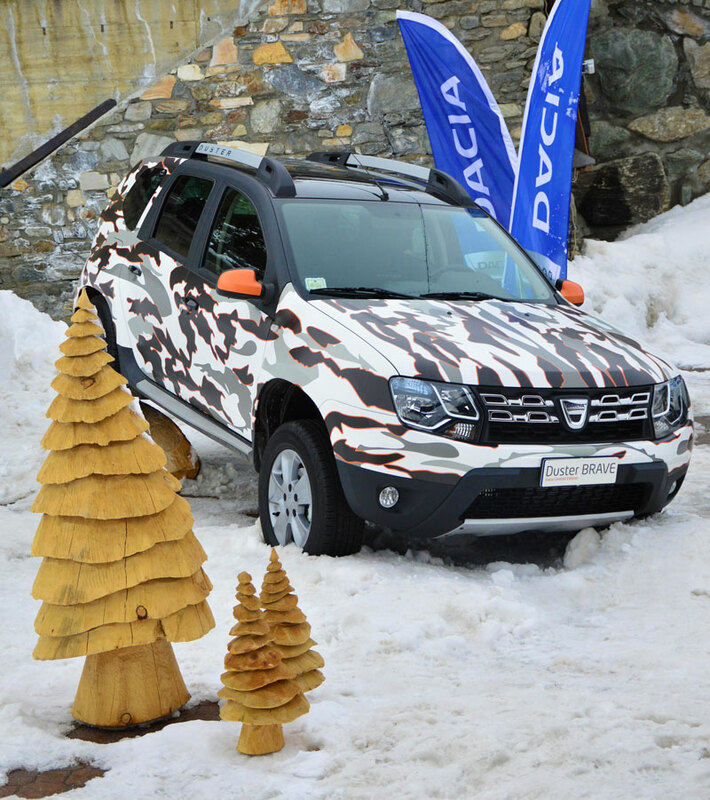 All’evento Dacia Duster No Limits everything has been designed to offer participants a weekend in the spirit Dacia. 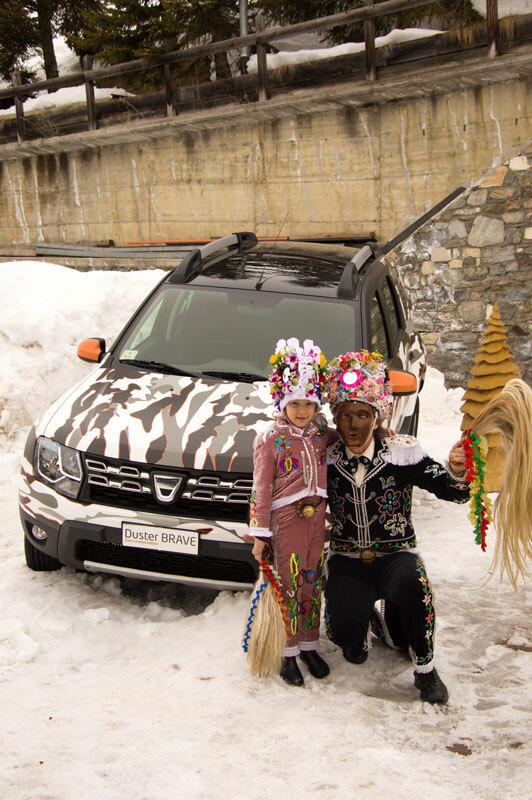 The chosen, Saint Rhémy en Bosses, It is a typical village at the foot of San Bernardo, surely it is known to fans of the mountain and nature, which will live exciting new experiences with Dacia Duster. The protagonists are emerging winter sports such as snowshoeing, that allow participants of advancing on the paths enjoying the silence and the scenery in the company of local guides, but also more extreme sports such as driving a car on ice. 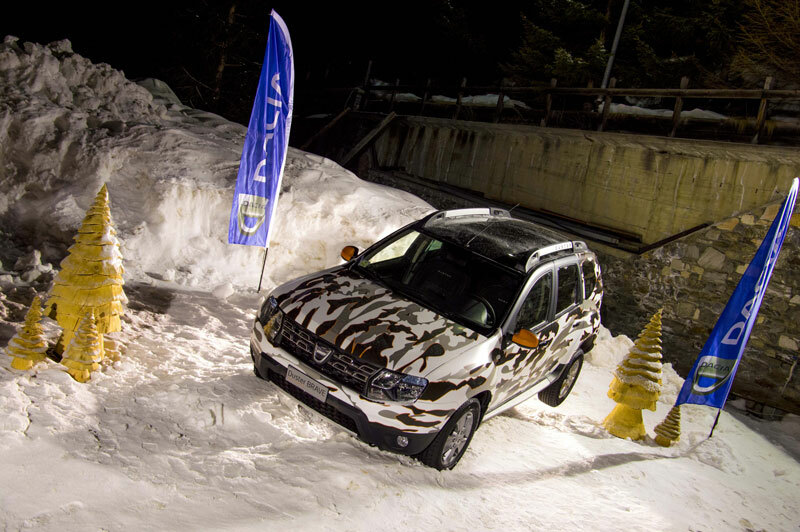 The New Duster will in fact be available on an icy runway, pushing in extreme conditions of ice drifting alongside professional drivers. Dacia is a brand that enjoys an established sense of belonging - says Francesco Fontana Giusti, Director of Communication and Image Renault - and initiatives like this weekend in Saint Rhémy en Bosses, proposto dal Club Dacia on the Road, have received very favorably by our customers that by buying the car, embrace the whole universe of values ​​of our brand. In addition to its adventurous side, Duster is faithful companion in all those occasions goderecce concerning the palate. Do not miss, indeed, a stop at the ham factory "Jambon de Bosses"Famous worldwide for its special process of salting and drying with herbs and traditional Aosta Valley dinner on a hut in 2.000 meters. We are very happy - says Corrado Jordan Mayor of Saint-Rhémy en Bosses - to host this initiative that we are protagonists along with Dacia Duster very significant moments of the program. Our common, indeed, It is distinguished in the valley in addition to its naturalness, for its ski resort in which there is also the ice rink of La Rosiere that can offer exciting and spectacular moments. They also welcome the good cuisine based on Jambon de Bosses DOP, on Fontina DOP and other typical products Aosta Valley enogastronomy. We are sure that our guests will appreciate the stay.